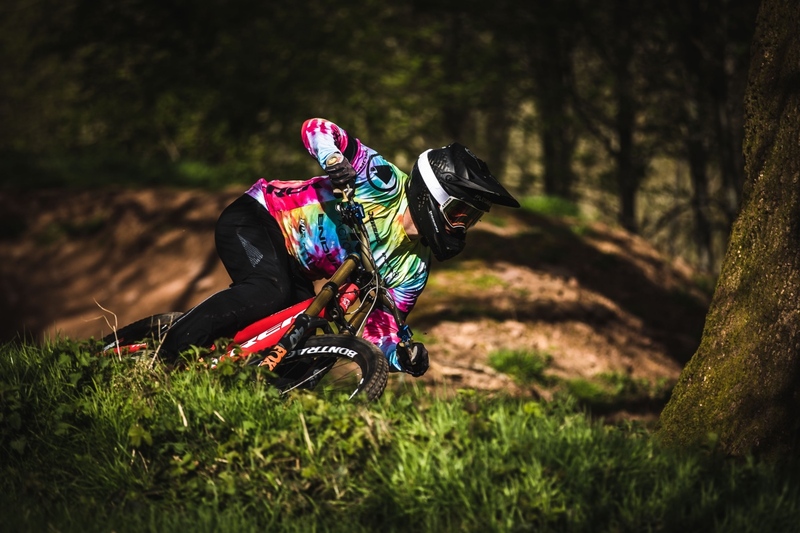 Kade Edwards of the Trek Factory Racing Downhill team is a colorful character and a rising star on the downhill racing scene. Edwards is a true bike rider who enjoys all kinds of bikes, all the time, every day. It consumes him and has obsessed him since he first started competing as a 6-year-old, which means he’s been competing on bikes for virtually all of his young life. 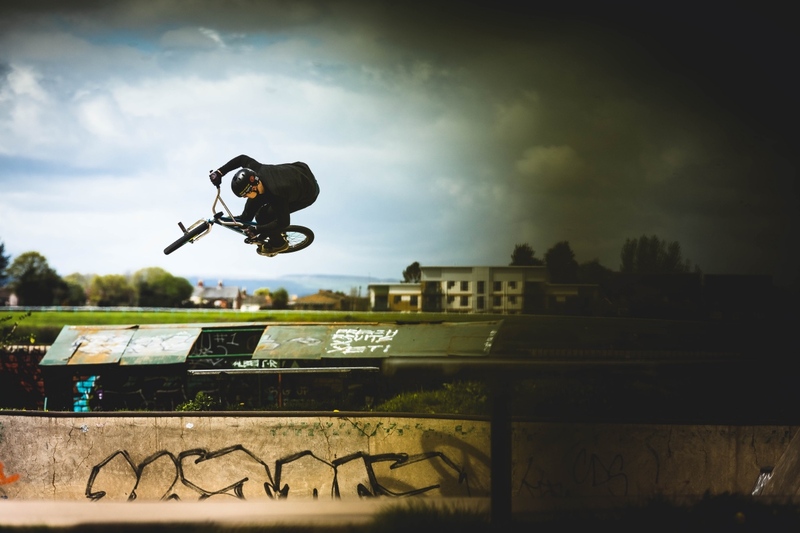 To learn more about this rising star, check out Endura’s video of what Edwards does best — shred. ‘He’s not here yet.’ Of course not! Kade Edwards is a world-class downhill mountain biker and a teenager. Did anyone (me or the team’s press officer) ever really think that the 18-year-old Edwards would be on time for this interview slot? Of course not. After all, he had that reputation. The bad-boy of mountain biking who, in his own words, “got kicked out of school” for behaviour that was less than optimal. Over the course of the conversation, several expectations are confounded. 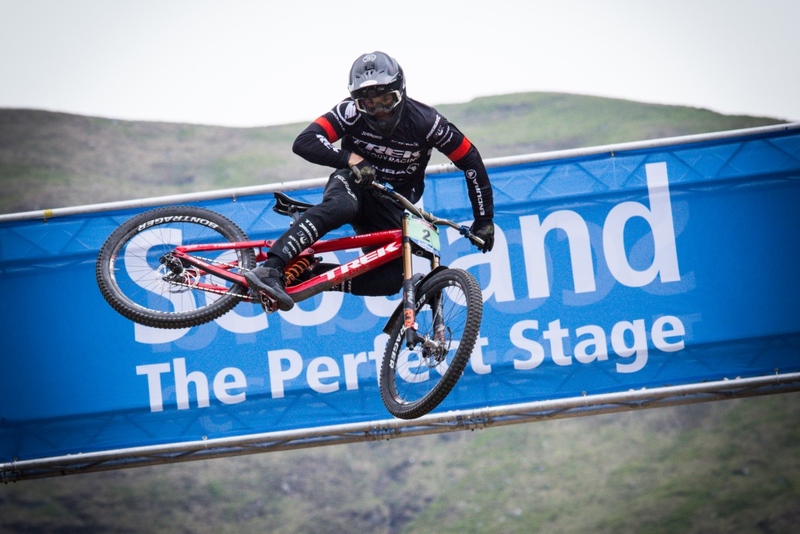 Kade Edwards is a professional mountain biker for the Trek Factory Racing Downhill team. Actually, it’s more accurate to say that he’s really a full-time bike rider, who rides bikes, all kinds of bikes, all the time, every day. It consumes him and has obsessed him since he first started competing as a six year old which means he’s been competing on bikes for most of his young life. 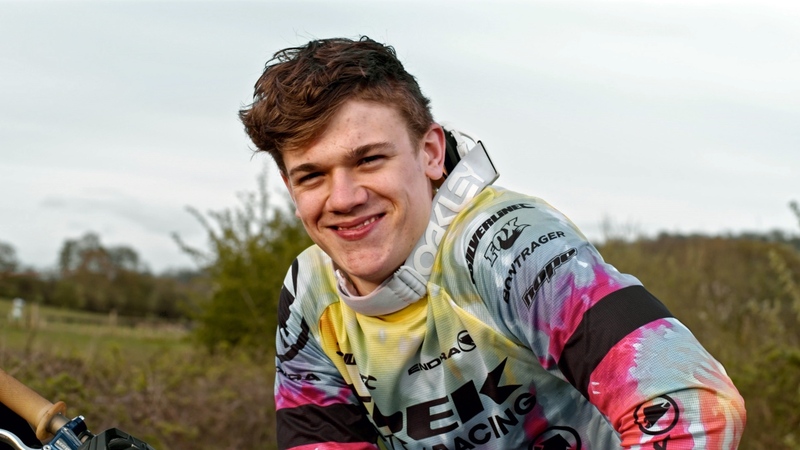 Starting out on motocross and trials bikes, he abandoned racing motorised bikes when his dad – former downhill racer Tom Edwards – pointed out that he couldn’t do trials and motocross and BMX and mountain biking. Being on two wheels is as natural to Edwards as being on two feet and there’s no doubt that racing and competition drive him along. “I liked riding trials, I think it’s a great to improve balance and it helps you pick a line, but it’s…slow, y’know? There’s no speed and I like to go fast.” His efforts on a motocross bike helped with the “ragged, fast stuff” and the combination of those two off-road motor sports proved to be a near-perfect preparation for downhilling. Considering his dad raced downhill at a decent national level in the 1990s, it was almost inevitable that Edwards need for speed saw him gravitate towards downhilling, although he didn’t race downhill till he was a positively ancient nine years old. And there’s the rub. You don’t have to spend long talking to Edwards to realise that his love of all things two wheeled is at the heart of the matter. Hell, he’ll even confess to enjoying a road bike ride every now and then, to give his body a break from the pummelling it inevitably endures piloting a downhill bike. “Yeah, I do, I quite enjoy a road ride, not that I’d put that on my Instagram,” chuckles the Huddersfield lad, who has 24,000 followers on the social media platform. But knowing when to go flat-out and having a ‘natural’ ability to go fast is, in the end, what wins and Edwards clearly has the attributes to win races. “The difference between racing in the UK and then the World Cup is…it’s the speed and the length of the tracks and finding that last little edge, finding that extra ‘Go!’ that you need. The first time I did a course walk in a World Cup I was really just worried about making sure I qualified, because it was pretty intimidating in places.” That was only last season, this year, he’s already been on the podium. Editor’s note: Words by Kenny Pryde. Images by Moonhead Media & Falk Meier. Endura has made a rad Trek Factory Racing Downhill tie-dye jersey especially for this film, and the only other one we made is up for grabs. Enter here.